I bought this set of ekSel Oven, BBQ and Baking Mats, in addition to a couple of other sets. I have used these for cookies, biscuits, and chicken nuggets so far, and enjoyed the easy, nonstick cleanup. Everything cooked well in my oven, and once the food was gone, I just needed to give the mat a quick wipe with soapy water to clean it up. 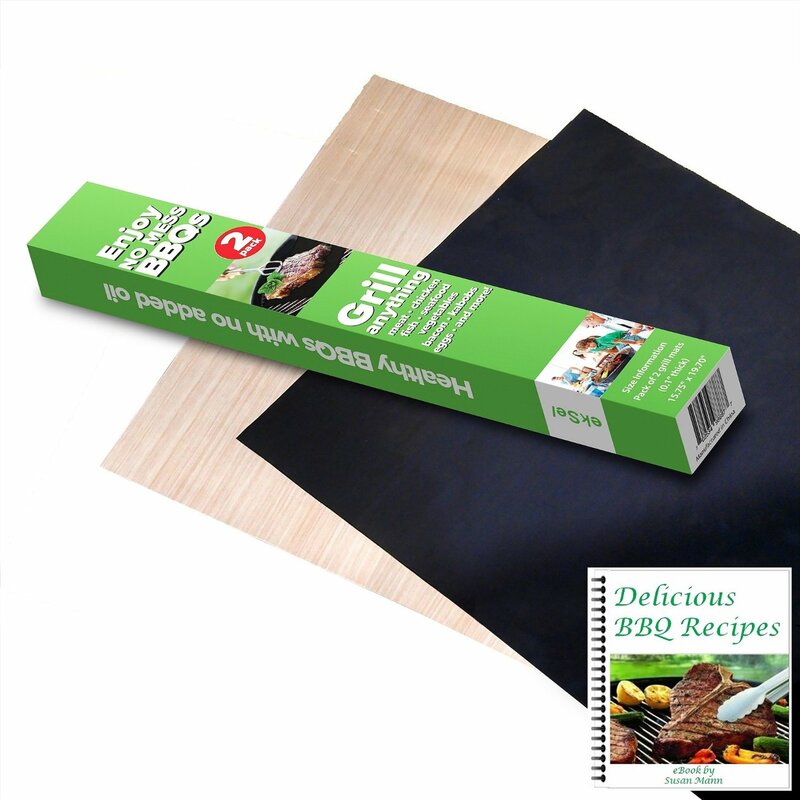 These can also be used on the barbecue, and washed in the dishwasher. I may use them on the barbecue next summer but haven't done much grilling lately because of the time of year. I like how easy they are to use, and to clean up. Just remember not to use any sharp utensils on them, such as cutting your meat, pizzas, etc, because it would likely damage the mats. Other than that, I see no reason not to use these on a regular basis. It sure beats wasting aluminum foil for lining pans or catching drips. Grilling tests will likely be performed at some point in the future, but for now I am giving these 5 stars because I really enjoy cooking with them.